That the torturers listen to music and are very kind to their children has been well established throughout twentieth-century history. This is one of the very complex states of affairs in the psychology of our social and political lives. I'm not committed as a writer, in the usual sense of the term, either religiously or politically. And I'm not conscious of any particular social function. I write because I want to write. I don't see any placards on myself, and I don't carry any banners. Nothing is more sterile or lamentable than the man content to live within himself. The US is without doubt the greatest show on the road. Brutal, indifferent, scornful and ruthless it may be, but it's also very smart. As a salesman it's out on its own. And its most saleable commodity is self-love. The US has actually educated itself to be in love with itself. I don't write with any audience in mind. I just write. I take a chance on the audience. That's what I did originally, and I think it's worked--in the sense that I find there is an audience. It comes easily for the English people to mock. It's a very odd situation indeed in England; you try to address real facts of life that surround you and are treated with great hostility. But the real truth is that there never is any such thing as one truth to be found in dramatic art. There are many. These truths challenge each other, recoil from each other, reflect each other, ignore each other, tease each other, are blind to each other. Sometimes you feel you have the truth of a moment in your hand, then it slips through your fingers and is lost. So often, below the word spoken, is the thing known and unspoken. My characters tell me so much and no more, with reference to their experience, their aspirations, their motives, their history. Between my lack of biographical data about them and the ambiguity of what they say lies a territory which is not only worthy of exploration but which it is compulsory to explore. The more acute the experience, the less articulate its expression. 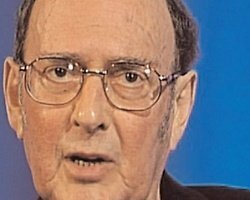 Bio: Harold Pinter was a Nobel Prize-winning English playwright, screenwriter, director and actor. One of the most influential modern British dramatists, his writing career spanned more than 50 years.